We're excited to hear your story. WiS aims to build a network for the next generation of students in STEM (Science, Technology, Engineering, Mathematics), and we know that connections are enriched when diverse experiences collide. 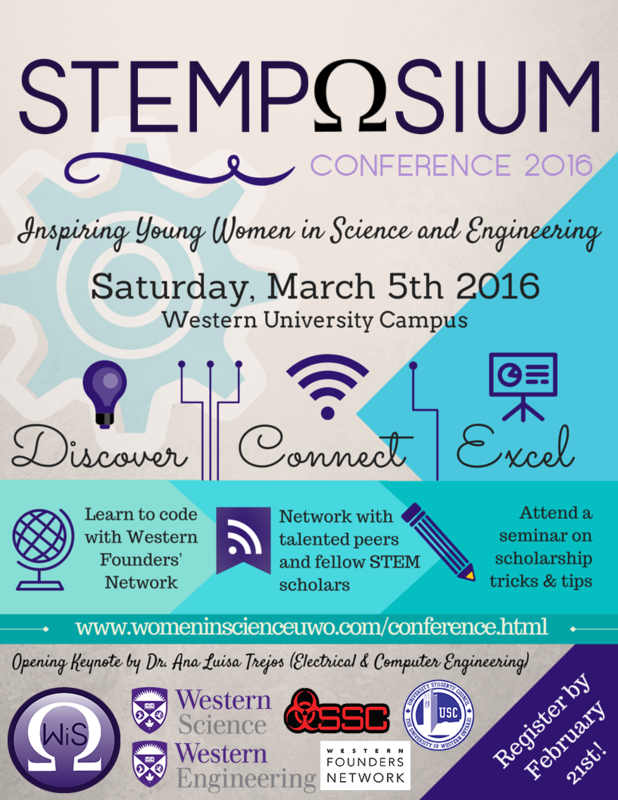 STEMPOSIUM is a networking opportunity, a learning experience, and a channel for discovery. The $15 fee includes lunch & refreshments, a nametag, and access to all of our networking and speaker events, including the Coding Workshop. Financial support is available upon request. Please send us an email to get started. Your correspondence will remain confidential. We can't wait to meet all of our delegates on March 5th. Keep an eye on your email for updates as the date gets closer!